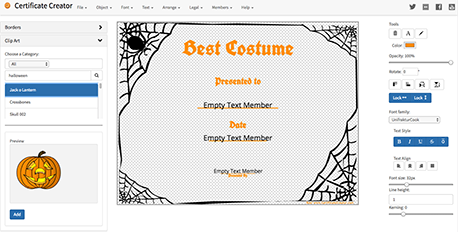 Certificate Creator - Create and print awards and certificates for school, sports, work or fun! 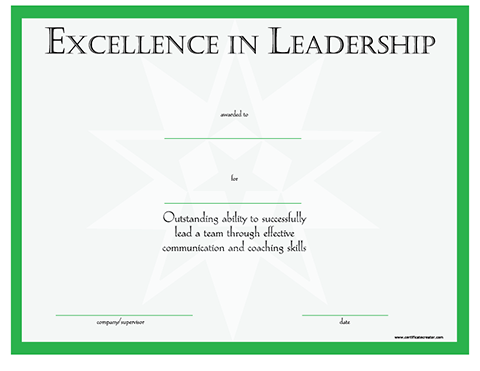 Create certificates and awards that can be printed using your home or office printer. You have full control over every certificate detail. You can change the border, clip art and text. The options are endless. All certificate components can be edited on size and coloring. Don't have the time to create an award from scratch then start from our inventory of premade certificates. Just edit the text to fit your needs. We are always adding new borders, banners and clip art to the system that is availabe for you to utilize in your own certificates. Back in 2002 we introduced a revolutionary licensing model, in that the end user was not limited to 1 computer. Our license breaks these bounds and you can log into the certificate creator from any computer anywhere. Also back in 2002 before the cloud we saved users certificates back to our servers (cloud) and thus they are available from any computer you log in from. 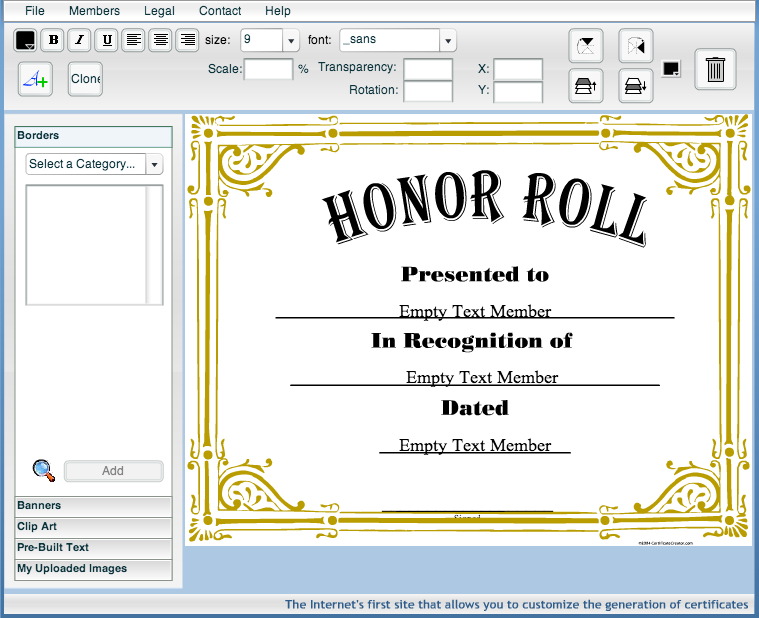 Create a certificate at home and then go into work or school and print it out. Preschools, elementary, secondary schools along with colleges and universities use the Certificate Creator to award and give praise to their students, teachers, parents and volunteers. Sports themed certificates for any sport. 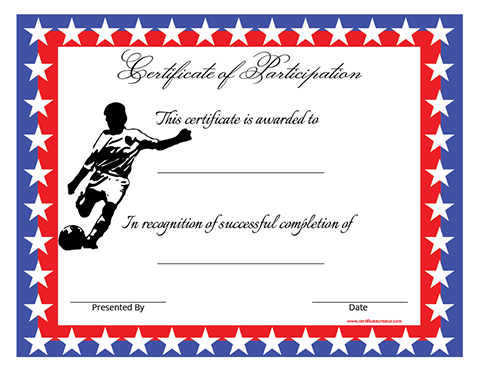 With the ability to swap out clip art a soccer certificate of participation can easily be themed for a basketball certificate. Our school certificates can easily be customized with our religious clip art to meet church needs. 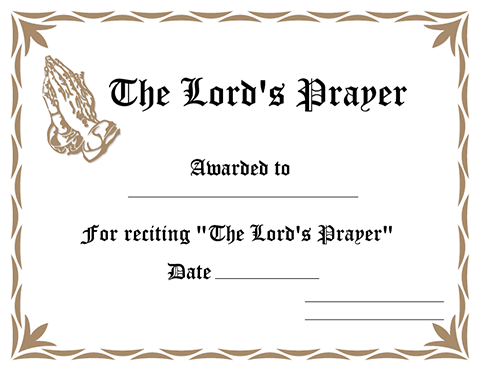 The Certificate Creator also has a Religious category of prebuilt certificates that are an easy way to get started. Certificates and awards are a great way to hand out praise for the best halloween costume, most Easter eggs found at the egg hunt, and for the child that has made Santa's Nice List. We also have specific certificates for Mother's Day and Father's Day.